This entry was posted in Uncategorized and tagged Andrea, charges, Dell, hemy, Joseph, murder., Neuman, Rusty., Sneiderman, trial on July 29, 2013 by edimminger. Just 2 days before the mother of a missing East Toledo toddler is scheduled to appear in court, her ex-boyfriend has also been arrested and charged with obstructing justice in the case. This entry was posted in Uncategorized and tagged arrest., Baby, Elaina on July 23, 2013 by edimminger. This entry was posted in Uncategorized and tagged delay, hearing, jodi arias, Travis Alexander, trial on July 16, 2013 by edimminger. The hearing has been moved from 8:30 to 10:30. Thanks to @WitchyTweets (Twitter) for the update! This entry was posted in Uncategorized and tagged hearing, jodi arias, Travis Alexander, update. on July 15, 2013 by edimminger. This entry was posted in Uncategorized and tagged Anthony, Casey, Enquirer, pregnant, WitchyTweets. on July 14, 2013 by edimminger. The hearing for Arias motions is in 8 days…I am guessing they will postpone the trial AGAIN! I just hope it’s in October or something, not next year! I feel terrible for the Alexanders. The Sneiderman case is coming (I think July 28). This is going to be good!! 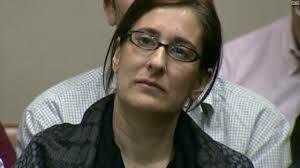 Andrea Sneiderman had her boss, Hemy Neuman (who we believe she was having an affair with) kill her husband Rusty. Hemy went to trial for the crime- Andrea testified in his trial and was defiant on the stand. Hemy ended up in jail. So she hooked up with her OTHER boyfriend, Joseph Dell!!! Well her husband was dead and her lover in jail so what’s a girl to do? 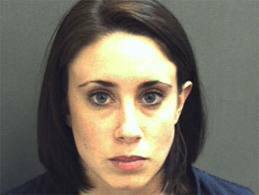 This entry was posted in Uncategorized and tagged andrea sneiderman, hemy neuman, jodi arias, joseph dell., murder., rusty sneiderman, Travis Alexander, trial on July 9, 2013 by edimminger. This entry was posted in Uncategorized and tagged hearing, jodi arias, Motion, moved., Travis Alexander on July 2, 2013 by edimminger.